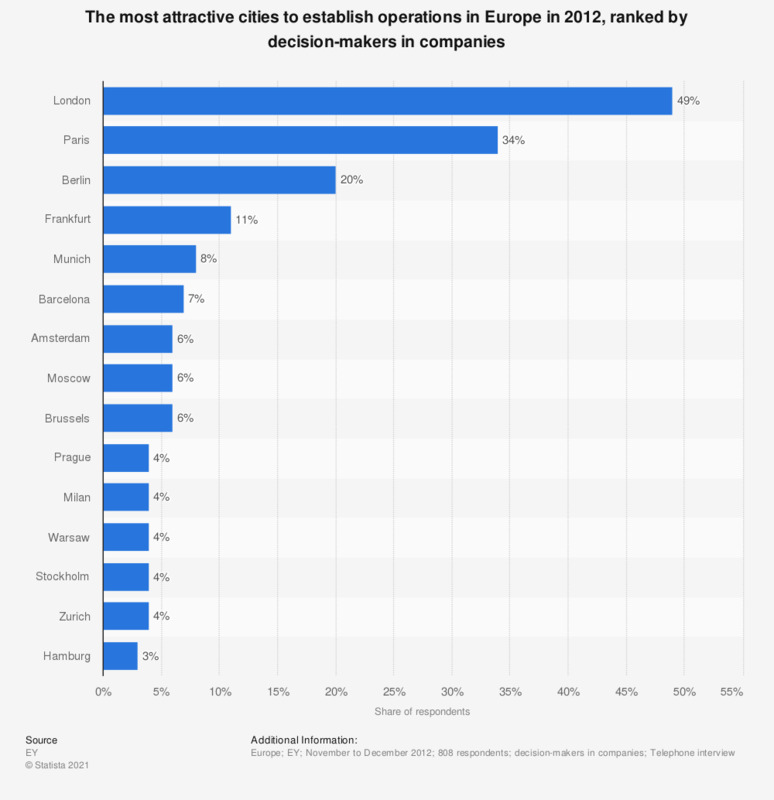 This statistic shows the most attractive cities to establish operations in Europe in 2012, ranked by decision-makers in companies. In 2012, 49 percent of surveyed decision-makers in companies worldwide perceived London as Europe's most attractive investment city. Of the non-European companies, 66% have established operations in Europe. As a result, overall, 81% of the 808 companies interviewed have a presence in Europe.